Lord, I'm at the tail end of a long trip. London -> Seattle - > Austin -> NYC -> Iceland. Besides one freakishly hot day in Austin, one word defines all of these places; WINTER. It's still here, beating us all into complete submission. My back is sore, my nose is stuffed, I feel groggy, lethargic, and quite grumpy. When will spring get here? Maybe never. In case Spring actually never arrives, here is a Winter Salad that at the height of seasonality in late Winter, but also glows with freshness and color that seem to enliven the spirits. 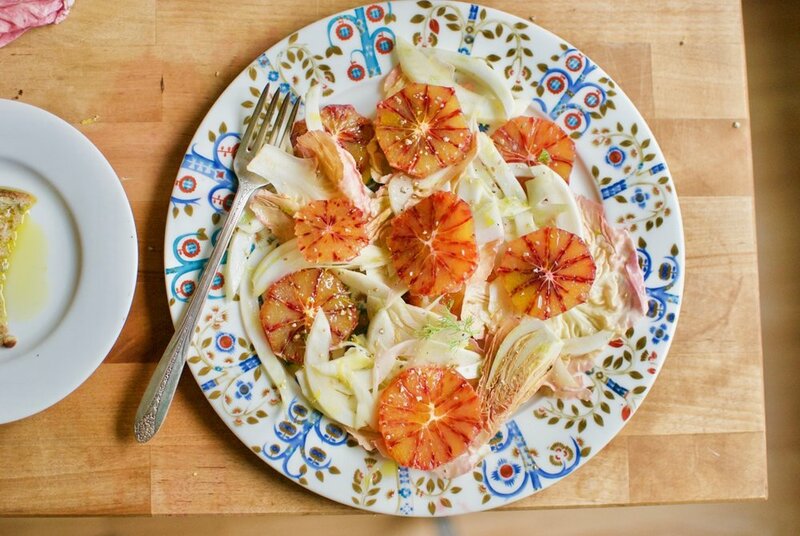 Crunchiness of the finely slices fennel, the glorious sweetness and color of the blood oranges, and the delicate Radicchio, which could be a rose, but is miraculously an edible lettuce. This salad makes an excellent side to grilled steak, or baked fish. It comes together beautifully in a big, jumble bowl, but if you're having a dinner party, is the most sophisticated first course. It composes itself on each plate, with no bad angles. Almost too pretty to eat. A visual feast first. Precisely what we need as we hunger for colors other than grey and white. 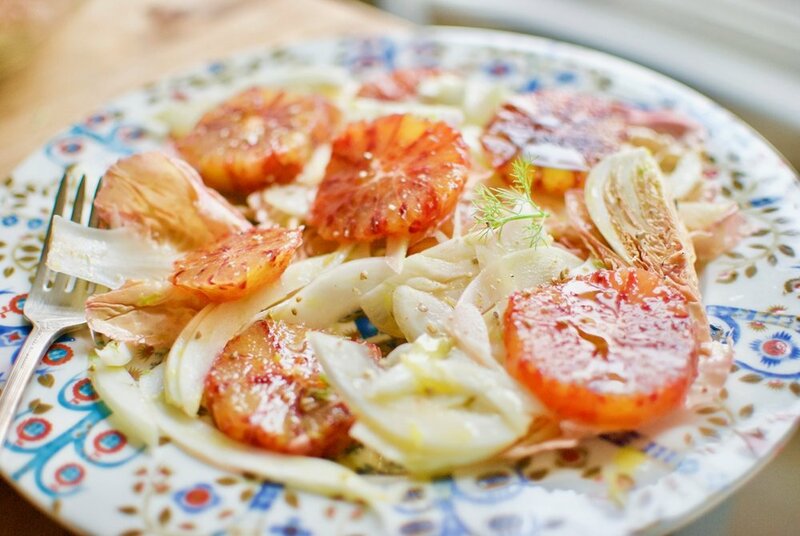 Try to slice the fennel as finely as you can. 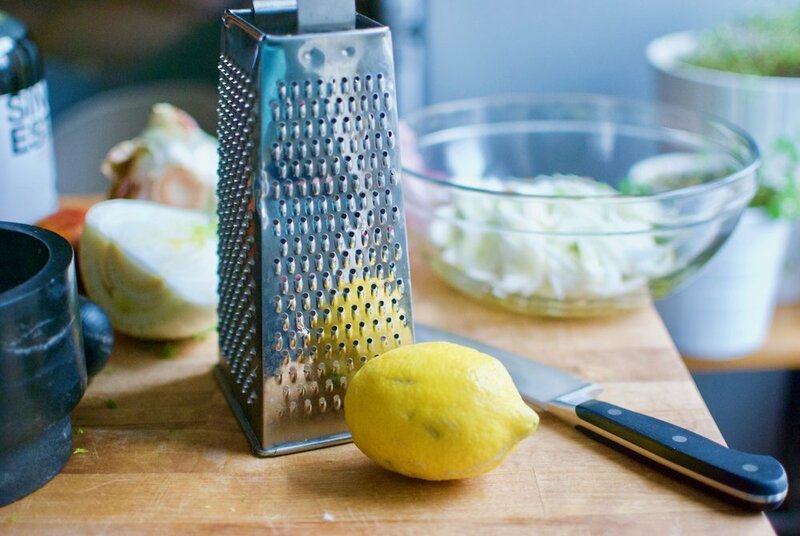 If you wanted to you could use your food processor slicing blade. I think it's best to keep the dressing simple. Some of the blood orange juice, apple cider vinegar, and very, very good olive oil, is just enough. The flavors are so lovely and harmonious that the dressing should just let them sing, not overpower them. We know that "No Winter last forever, and no Spring skips it's turn." I hope that it will be Spring's turn soon enough. 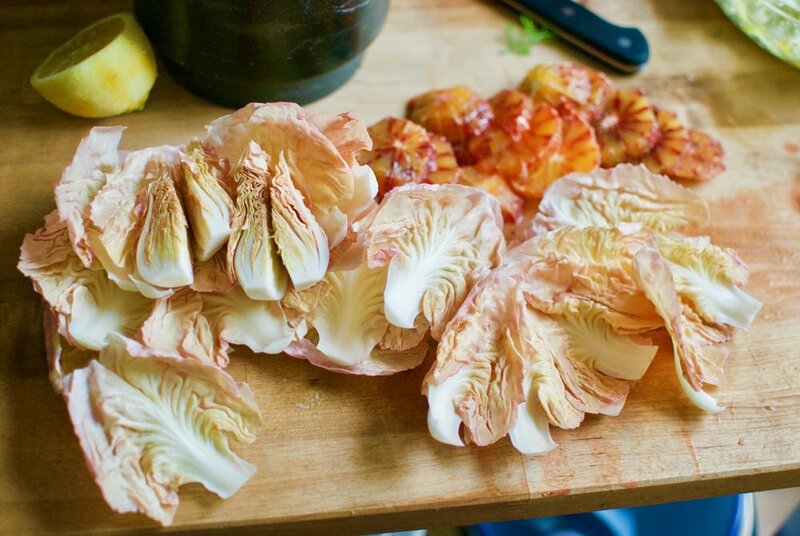 In the meantime, I will continue to gaze at Radicchio flowers and bright oranges and dream of the sun. 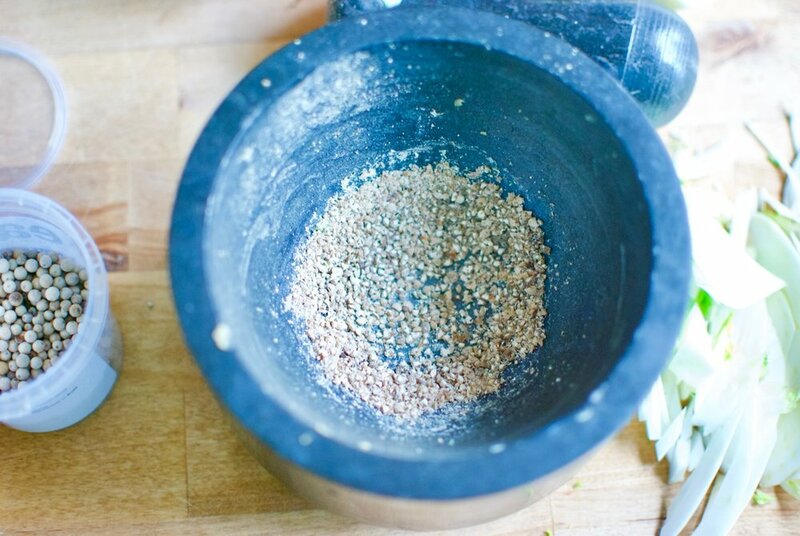 Mix the vinegar and oil in a bowl with a healthy pinch of salt and pepper. Slice the fennel as finely as you can, also slicing the fronds. Toss in the dressing mixture. Slice the top and bottom of the blood oranges, and working your way around, slice off the peel and the pith of the skin. then slice horizonatally. 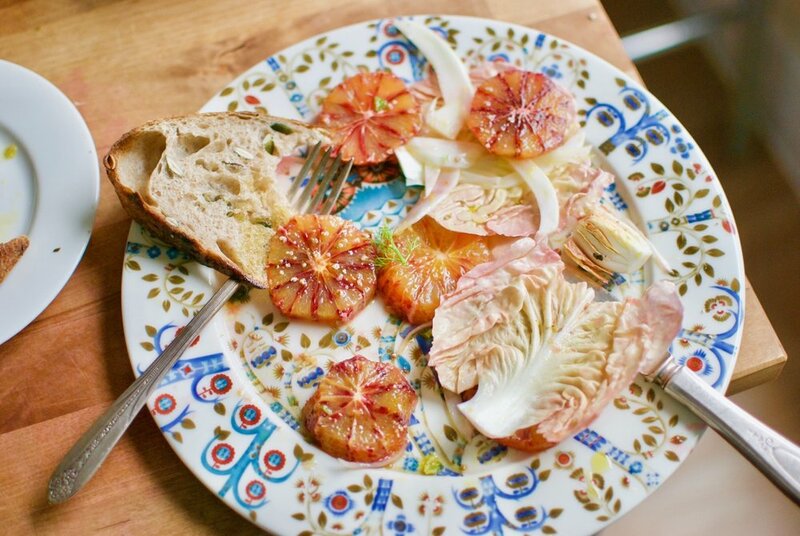 Do this on a plate so you can pour the juice from the orange into the bowl with the fennel. Toss fennel again. Place oranges slices in bowl. 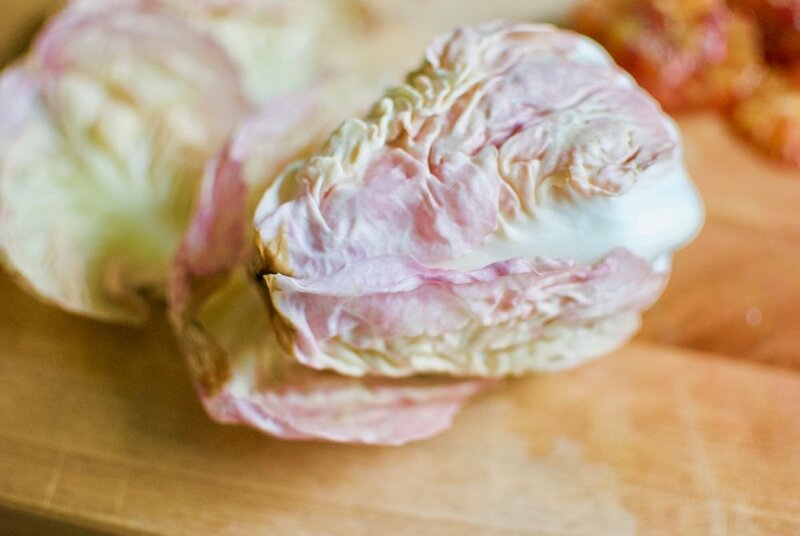 Finally, wash and dry the Radicchio. Tear the leaves as you like them. Some like smaller, others like larger for a grander effect. 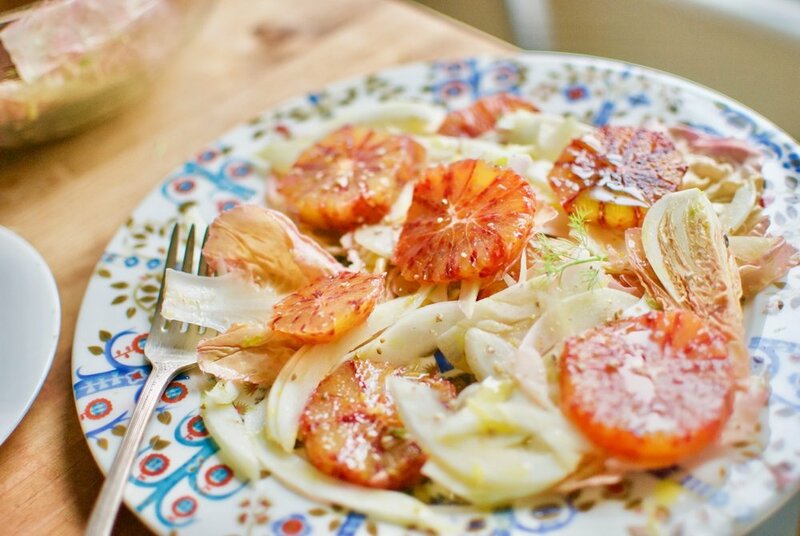 Toss in the bowl with the fennel and orange. 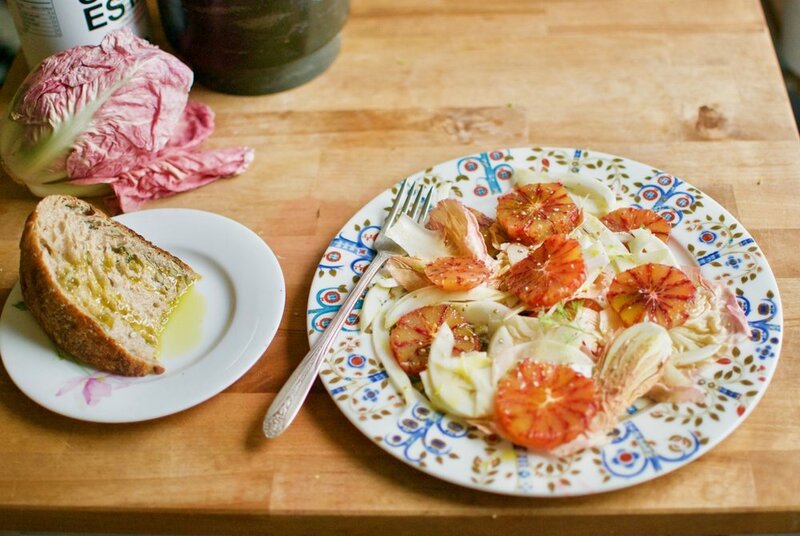 Serve on a plate or in shallow bowls with another little drizzle of very very good olive oil.